Join Empowr if you are not already a member, and get $20 deposited into your new account. Empowr now awards an AMCO early “Accerlerated Matured Cash Out” for members based on the number of days a month they complete all their daily goals. The award may vary from month to month depending on the revenue of Empowr. Also, different members may get vastly different amounts even when they have the same number of days of meeting the daily goals. Posting and sharing quality content. Perhaps Empowr is counting the number of share you get, and the number of people that visit your page each day. There have to be ways they can measure popularity. By listing quality products for sale. I’m almost positive Empowr is taking into account whether your auction got a lot of bids or none. Overpriced items or items with shipping cost that are too high will probably not get as many bids. Also successful close of the auction is probably a factor. They have clearly said that sales that go unpurchased offer little value to the community. Bottom line, a blog from Empowr says you are rewarded for creating economic value. 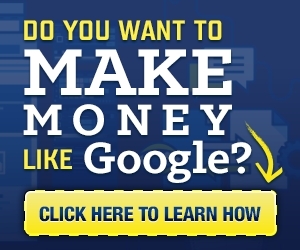 Watch short video above, then click below for more info to learn how to get more leads for whatever business you want to promote. Is USI-Tech a Ponzi Scheme? Is empowr a SCAM? No No No Here is the Proof of Cashout! Scam Alert : empowr.com Be careful !! Tracey Walker Answers: Who Is Empower Network For? Subscribe to get Hot Updates!